Not much to say here. 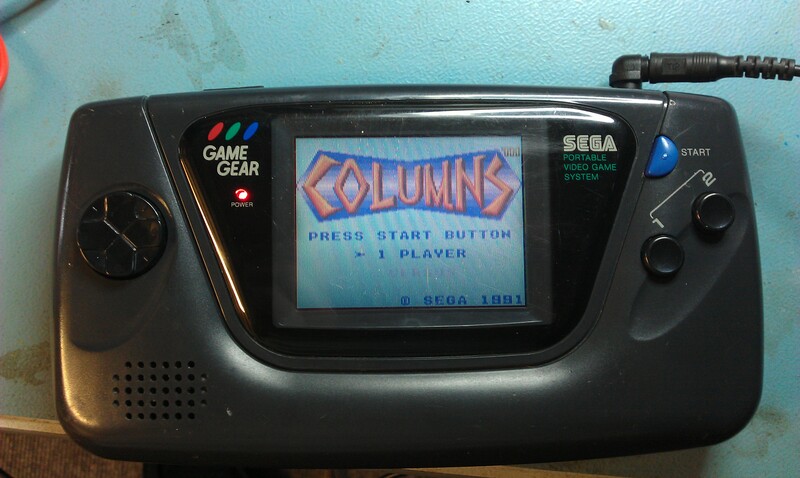 Usual Game Gear faults of low sound and hardly any brightness on the screen. Always down to poor grade/leaky caps. I had 2 of these to do so ordered up a bunch of capacitors and just changed the lot out. Both of these were my mates but said I could have one of them if his one worked. I never took any pictures of the internals as I wasn’t originally going to log this but as I’ve not got much else at the moment I thought why not. All the original capacitors were surface mounted ones but the replacement ones I used were radial ones and there is plenty of room internally to allow the case to be closed up again, plus it makes it easier to solder them in. Anyway, the sound is back nice and loud and the screen brightness is pretty decent. Shame the actual screens in these things were poor to begin with.